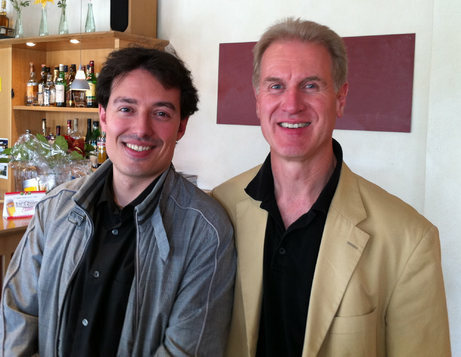 Ferran Cruixent's "Virtual" received its world premiere on 15 May 2011 performed by the German Radio Philharmonic Saarbrücken Kaiserslautern conducted by Christoph Poppen during the course of the "Mouvement Festival" in Saarbrücken. "(...) How pulsing with life, on the other hand, was Ferran Cruixent's orchestral piece "Virtual:" the Spaniard, who has just become a father, was inspired by his wife's pregnancy. And doesn't one hear the first heartbeats of the child in the ultrasound, the labour pains as forte fortissimo in the entire orchestra as well as the comforting sound of the music box? A cheerful yet also well-composed work (...)."